Well this week has gone by pretty well! 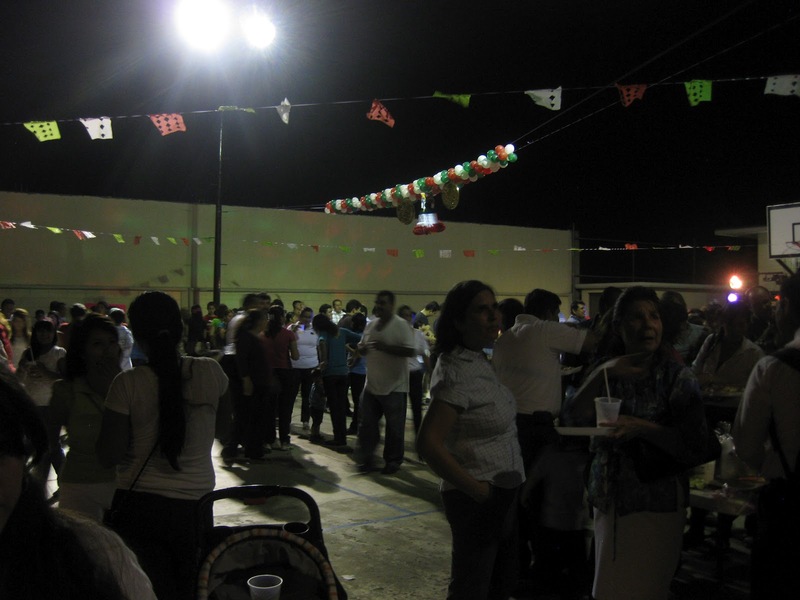 The other day there was an activity we had a Noche Mexicana activity in the church because it was the Mexican Independence day. We brought our investigator Dulce and her niece with us and it was pretty fun. We got to eat some tamales and other food while seeing a lot of members from the Stake. Dulce enjoyed the activity and is excited to get baptized. We´re teaching her boyfriend Jesus still and they´ve talked about getting married in October. Jesus likes talking to us too but we always have to late at night because he´s a cook and doesn´t get home til like 8pm sometimes. 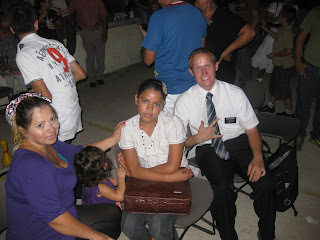 Hopefully one of these days he can get off work so he can come with us to church, but we´re going to try and see what we can do to help them :). 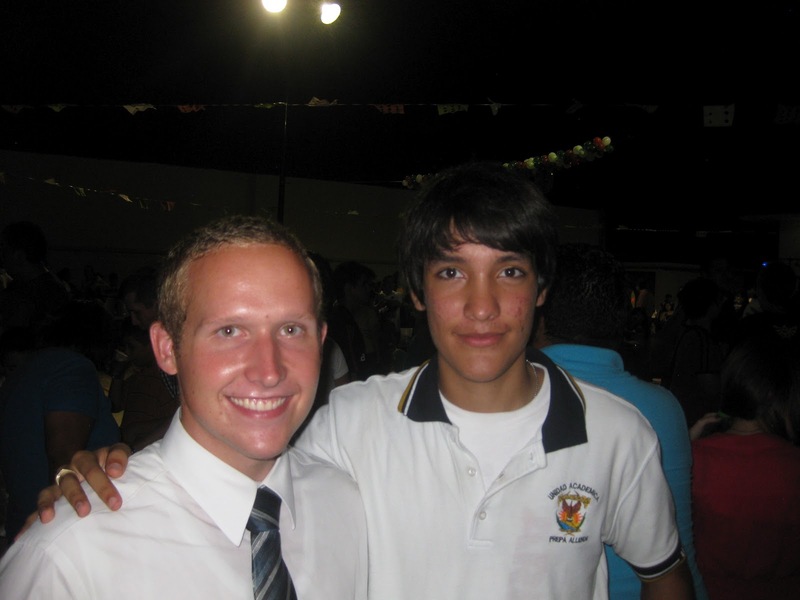 We´re finding people little by little, but that always seems to be like one of the hardest parts of the missionary work. Once we´ve already started teaching them it´s nice to be able to teach them and see them progress when they´re really prepared. There are tons of ways to find people to teach but we want to work more effectively with the wards. We´ve talked about some activities we might be able to do with our ward mission leaders and we´re going to try and use more members in our visits with the investigators.. Sunday was awesome because in one of the wards this family brought a 5 people who weren´t members to church and we´re going to try and teach a mom and her family that live near the church. It´s always a blessing to see new faces who are eager to learn about the gospel of Christ because we know that they will be blessed by the word of God. We´re going to have a zone activity next week where we´ll do a lot of contacting in one particular area, but they haven´t told us much details about it yet. Sounds like it´ll be a fun change of pace though and I´m sure we´ll see a lot of success in finding people in which ever area we go to that day.. It´s always good to have something to look forward too and we´re eager to see some more growth.. It´s good to hear that everyone is doing well at home! You´re all in my prayers and never far from my heart. Have an awesome week!